In 1673, Louis Jolliet (a French-Canadian fur trader/explorer) and Jacques Marquette (a French Jesuit Missionary/explorer) set out to find the river that the natives called “Messipi” (The Great Water). Finding a route from the Great Lakes to this mighty river could’ve opened a possible route from the St. Lawrence Seaway all the way down to Mexico. 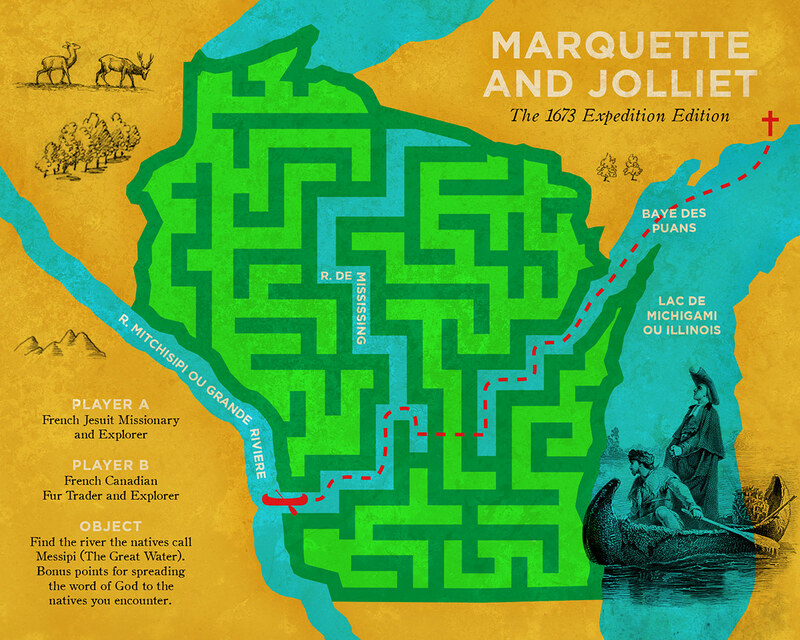 On May 17, Marquette and Jolliet departed with two canoes and five other voyagers across Lake Michigan. Once they hit the mouth of the Fox River in Green Bay, they headed upstream (but south) to its headwaters. From there, they portaged their canoes through brush for about two miles to the Wisconsin River (present day town of Portage). Continuing on the Wisconsin River, they entered the Mississippi River on June 17, at present-day Prairie du Chien. They headed down the Mississippi River until they reached the mouth of the Arkansas River. There they learned that Spaniards lied ahead, so out of fear of being captured and losing their new knowledge, they decided to turn back. They made it home in late September, concluding a four month, 2,500 mile journey. This put a smile on my face. Very cool.